The Whitby Goth Weekend was set up in 1994 by Jo Hampshire. Originally it was a get together for about 40 like-minded Pen Pals with the same interest in music. 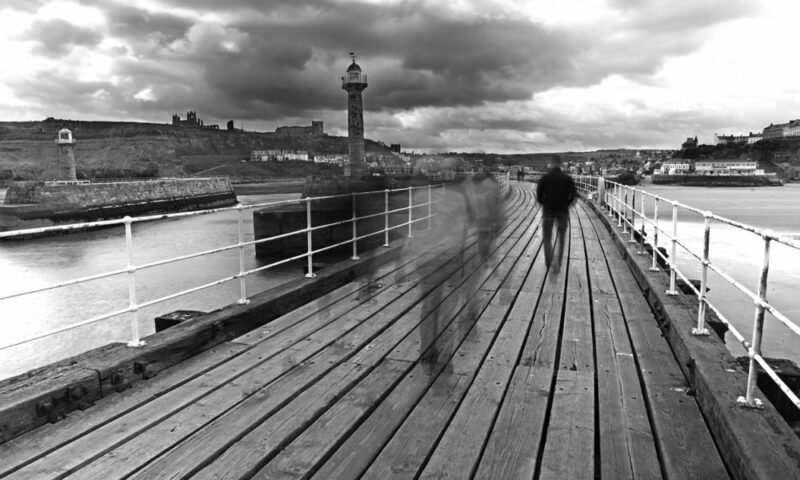 Whitby was chosen due to it’s links with Dracula and ‘darker side’. As time went by, these annual ‘get-togethers’ increased in popularity and soon became known as a musical event. By 1997 is became so popular that it was decided that there would be 2 annual events. One in April and the other in October (always as close as possible to Halloween). The 2019 Whitby Goth Weekend dates are set for 12 – 14 April and 25 – 27 October. The festival was set up as a music event for Goths, with music genres varying from death metal, punk and industrial. More recently the festival caters for a wider range of ‘alternative’ lifestyles. Some fantastic outfits can be seen in the town over the weekend, but in general most are wearing dark, usually black, clothing, dark hair, pale complexions and lots of heavy dark make up. The outfits tend to get more and more ‘outlandish’ and intricate each coming year. The majority of the events take place at Whitby’s Spa Pavilion but other venues throughout the town hold ‘fringe’ events. There is also a market called the Bizarre Bazaar, selling an amazing range of clothing, accessories, jewellery, art and curiosities. Everyone is welcome at these events, it doesn’t just attract Goths. You will see punks, steampunks, emos and bikers and of course the town is packed with visitors and locals taking photos of the fantastic outfits and crazy characters.